Ušakovs turned to the police because of Re:Baltica’s story in March, 2018, which showcased how at least €8 million of taxpayers money have been spent on polishing his image. That was achieved by silencing the media with the help of generous advertising contracts by city council, employing Harmony’s youth wing in the various structures of city to promote Ušakovs and party, and via massive investment in the social networks. Gobzems, on the other hand, complained about the publication which focused on allegations that he is supported the enterpreneur Ainārs Šlesers, who was once known as an oligarch in the Latvian politics. Gobzems, whose pre-election campaign targeted media as an adversaries, submitted the claim against Re:Baltica for alleged defamation and the interference of an “external forces” in the Latvian electoral process, but then did not respond to multiple calls from the police to provide explanations, sources in the police told Re:Baltica last week. Police refused to open case in November, 2018, and Gobzems did not appeal. Re:Baltica is still waiting for the full text of the decision. Ušakovs also was denied his wish in November, 2018, but he appealed. His appeal has failed and the decision is final, Re:Baltica was told by the prosecution last week. In the reply to the politician, prosecutor’s office points out that Ušakovs must be aware that as a public person he has to be able to endure a particularly high dose of criticism, and journalists did their job in the public interest, focusing not on him as an individual, but on the developments in the municipality. There is no reason to believe that journalists have knowingly disseminated false information and, moreover, they didn’t express their views in an offensive way. Prosecutor Kristaps Bresis reminds the mayor that he can defend his honour in civil proceedings. Ušakovs had told the media that he considered Re:Baltica’s story biased and had asked the authors list of the questions which went unanswered. The editor of Re:Baltica Sanita Jemberga pointed out that Ušakovs had sent a rhetorical statement which did not name a single false fact or asked for corrections, so there was nothing to answer to. Re:Baltica calls on the new parliament to abide by the recommendations of the international organisations to remove defamation from the list of the criminal offenses. The difference between civil and criminal defamation cases is that in the latter case the evidence is collected and case built by police, while in civil proceedings claimant must do it himself. It both wastes police’s time and public money, as politicians often use this tool only for their publicity and loose interest in the process afterwards. Similarly, unjustified claims are wasting journalists’ time and resources that could be devoted to investigating more important issues. Criminal defamation also can have a chilling effect on the freedom of expression in the country. 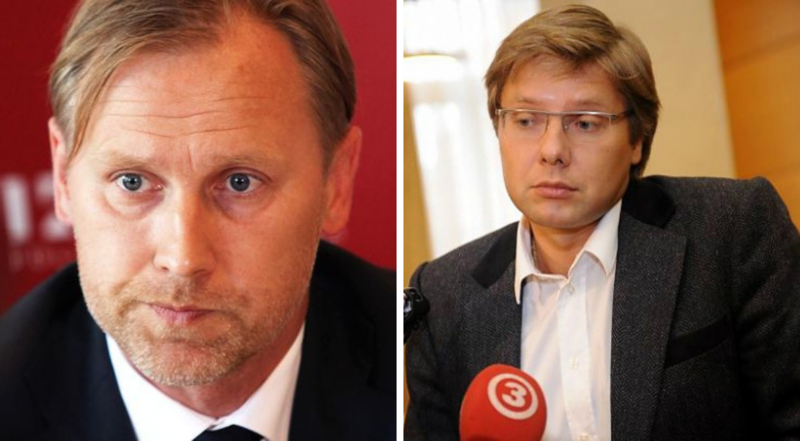 OSCE/ODIHR, while assessing Latvian parliamentary election in the fall of 2018, concluded that the tendency of some politicians to publicly discredit the media and criminalise defamation is at odds with the international standards.